Bring the Books: Why Did God Forbid Blending Threads? Mark Driscoll has attempted to briefly answer a very pressing and important question that should be on the radar screen of each and every Christian. The post is titled "Does God hate cotton blend T-shirts?" and deals with the prohibition against mixed threads in Deuteronomy 22:11 and Leviticus 19:19. Driscoll, in his post, deals very superficially with the above question and basically ends up appealing to the classic three-fold division of the law: civil, ceremonial, and moral and says, "These laws are no longer binding on us because Jesus is our priest, temple, sacrifice, cleanser, and so forth." Period. End of discussion. Now, for my own part, I agree with Driscoll's conclusion. The ceremonial law was done away with in the coming of Christ (WCF 19.3). However, readers of his post will still not be any closer to understanding the prohibition under discussion than when they first began. Just as with Driscoll, my own interest in this prohibition relates to a renewed contemporary (albeit superficial) fascination in these prohibitions by skeptics. One skeptic, for example, says "There is nothing in the Christian bible to suggest that this portion of Leviticus is any less serious than the part about homosexuality. And yet, the inescapable conclusion is that wearing clothing made of linen-wool blends is wrong in the same way homosexuality is wrong." Richard Dawkins, similarly, alludes to this prohibition as he mocks the sort of minutiae often found detailed in the Pentateuch. 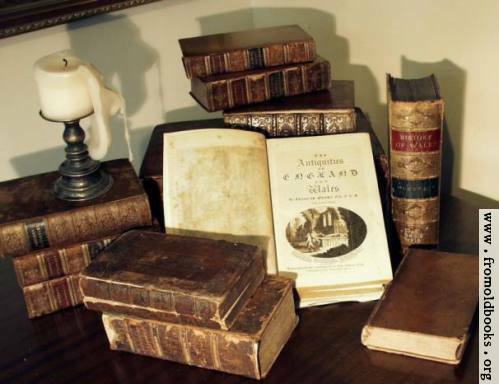 It is not only atheists and skeptics who think texts like Lev. 19:19 and Deut. 22:11 are some sort of linchpin to show the inconsistency of Christian ethics. More than ever, with the push in our society to normalize homosexual behavior, these texts are increasingly being leaned on, even within supposed Christian circles. I wonder how much people really understand the prohibition, however. I know that in my own studies, looking for discussion of these verses in any helpful way was about as difficult as finding a sensible statement in YouTube's comments section. That is to say, these verses are often spoken of generally, even in the best commentaries (with a few exceptions). There are several possible approaches to these passages. For the sake of simplicity, I will deal primarily with the prohibition as it appears in Deut. 22:11. Some commentaries, from Reformed theologians I've consulted, say that the prohibition against mixed threads is to picture Israel's own holiness. It is a way of showing that Israel's holiness is to be untainted by the nations around. One OT scholar, whom I highly respect, says that the command is literal, but that it pictures that "God has created things to act according to their natures, and they are to stay in their proper spheres." Nevertheless, the advocates of this view which I have read discuss the larger ethical message of these commandments more than the commandments themselves. They also tend not to deal with the fact that God actually commands his priests to have this same mixed fabric in their garb in Exodus 28:6, 15 and in Exodus 39:29. The priest wore a belt of mixed threads. Furthermore, Exodus 26:1-2, 7-8 commands that the curtain of the tabernacle be made from this same "forbidden" mixture of wool and linen. In my own opinion, and based on my own research, the "spiritualized" interpretation of the passage does not wrestle sufficiently with the apparent conflict between the prescribed priestly garb and these prohibitions. Carmichael also holds to what might be called a metaphorical view. Essentially, he sees this passage specifically dealing with intermarriage of Israelites and Canaanites by way of euphemism. Some commentators, coming from a more liberal perspective than myself, follow the JEDP documentary view of the construction of the Pentateuch and say that the prohibitions of Deut. 22:11 and Lev. 19:19 are leftover vestiges of an earlier editor before the Pentateuch was finalized. They call this editor the Deuteronomist. Crediting these passages to the Deuteronomist, they say he was “unready to throw off this primitive concept” of refusing to mix unlike things. Unable to resist the urge to teach modern readers a lesson, they continue: “Unless religion does cast off such encumbrances from the dead past, progress is stifled. Ancient Egyptian religion kept its primitiveness and so was unable to achieve spiritual monotheism.” Some readers may find this line of thought compelling, but as someone who believes in the inspiration and inerrancy of Scripture, I find this approach far less than compelling. It fails to understand the Old Testament as a coherent whole. Those to whom Moses is delivering these laws are only a generation removed from life in Egypt. Carmichael, in his discussion of this law, says that clothing of mixed fabrics was suggestive of Egyptian cultic prostitution which, of course, Israel was to have not even the least bit to do with. If Lambdin’s is right that these verses use an Egyptian loan word (šaʿaṭnēz), then it may just be that the word in question is referring to a way that the Israelites would have either dressed themselves, or seen their Egyptians masters dress, or might have seen cult prostitutes in Egypt dress. In this scenario, God’s command in Deut. 22:11 and Leviticus 19:19 is a polemical command intended to separate Israel from the nation that they have just left behind. The greatest problem with this view is that it does not adequately account for the legislation that requires the priests to make their garments from these same mixed threads. This view says that the passage is not prohibiting mixed threads because it was the clothing of prostitutes. Nor is this prohibition merely meant to be a picture of holiness and Israel's distinction from among the nations. Rather, this prohibition had a very practical purpose. Numbers 16:1-40 records an incident when the laity sought to take priestly duties for themselves. In this view Deut. 22:11 (and Lev. 19:19) actually address a real and pressing issue: namely the temptation for the laity to resent or break down the distinction between priests and laity among the Israelites. Given this understanding of the prohibition of mixed threads, we see that God is placing barriers between the people and the Levites to keep such events as the rebellion of Korah from taking place. It is also easy to explain to the skeptic why Christians no longer observe this prohibition. 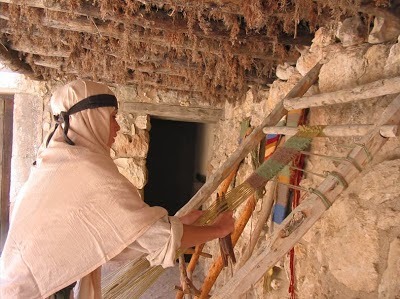 Since the New Testament no longer distinguishes elders from the laity by clothing this command regarding mixed threads is no longer relevant except perhaps in terms of a persistent recognition that the Church still has leaders and elders whom the members are to submit to (Hebrews 13:17). Although there is nothing wrong with appealing to the threefold division of the law, it is often hard for skeptics to grasp (or they are unwilling to grasp) the fact that this distinction is not simply a convenient "out" for the defensive believer. If it is possible to answer the challenge without invoking the threefold division, I think it is best to do so from an apologetic (or at least from a didactic) perspective. a) It has ancient pedigree. Jeffrey Tigay, in the JPS Torah Commentary on Deuteronomy points out that Josephus, while recognizing that the passage is difficult and not always understood, believed that "the prohibition applies to the laity, because the priests, when they officiate, do wear garments made of such mixtures" (Ant. 4.208). According to Josephus, this view of the passage goes back before his own time. And so it can safely be said that this view goes back at least a couple of millennia. b) It accounts for the previous command for the priests to wear mixed threads. As I mentioned earlier, the commands of Exodus 28:6, 15; 39:29 need to be reckoned with by anyone who wants to understand this command. Because God does command the mixing of threads elsewhere, we should reject the idea that God is prohibiting mixed threads in all situations in Deut. 22:11.
c) It allows for harmonization within the Pentateuch rather than disharmony. God speaks with one voice in Scripture. He does not speak out of both sides of His mouth. We need to understand all of God's commands in relation to one another. Christians, once they have a firm understanding of passages like these, will be ready to quickly, with clarity, and simplicity, answer skeptics. More and more the environment in which we live demands sound-bite answers. As soon as someone says that Christians are ethically inconsistent and bring up their polyester/cotton T-Shirt, the Christian can offer their own soundbite: "That passage in Deuteronomy is not a blanket prohibition of mixing threads all the time. Rather, it is prohibiting the average Israelite to dress like the priests. Since we don't have priests anymore and because there is no biblical command to differentiate pastors from the laity by clothing, we no longer obey this particular commandment." We obviously do still have regard for the difference between civil, ceremonial, and moral laws in the Old Testament, but in this particular case, the command is far less ridiculous or humorous than the skeptic thinks. This was clear and excellent. Thank you. I'm now with your take on it, by the way.